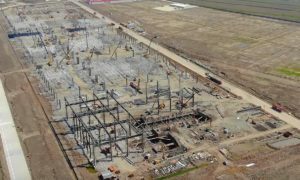 The construction of Tesla’s Gigafactory 3 in Shanghai is starting to see some serious progress. 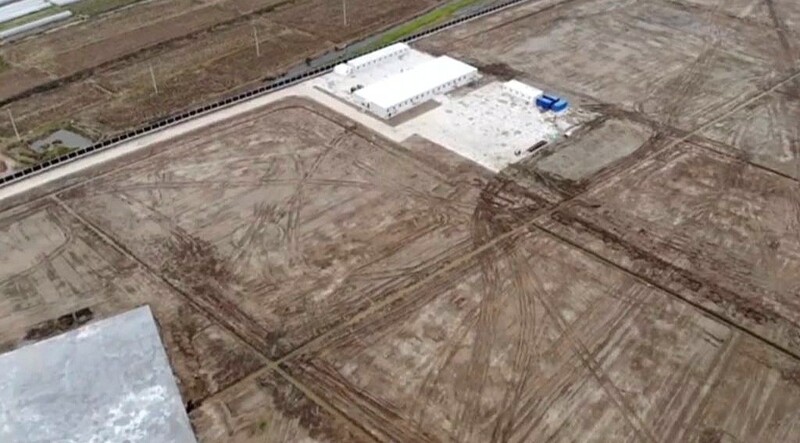 As could be seen in a drone flyover of the site during the Chinese New Year, most of Tesla’s 864,885-square meter plot of land appears to be ready for construction. An initial building that appears to be a temporary structure has also been completed, and a separate area of the site has been overlaid with concrete as well. 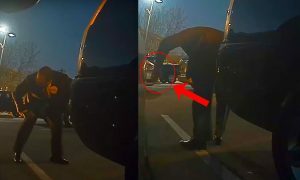 The recent drone video was posted on Chinese social media by the 42HOW group and shared on YouTube by Tesla owner-enthusiast Vincent Yu. Over the course of the nearly two-minute clip, several angles of Gigafactory 3’s land were emphasized, particularly the first building on the site, which is already equipped with several air conditioning units. Since the facility’s groundbreaking ceremony last month, work on Gigafactory 3 has proceeded at a rapid pace. Barely a week after the ceremony, for one, images from the Tesla community emerged depicting numerous trucks and heavy equipment moving dirt from the site. In the recent drone flyover, work on the land appears to have been paused, though this might very well be due to one of China’s most important holidays — the Chinese New Year. With this in mind, it would not be surprising if later drone flyovers of the site would show renewed activity once more. “So it basically would be — this will be extremely fast. 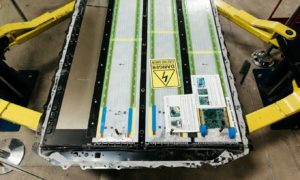 I get like daily updates of progress of the Shanghai Gigafactory, and those factories are going to go up like lightning. So, we do feel quite confident at this point, at least for the factories that are in our control, that we can achieve volume production in Shanghai by the end of the year. 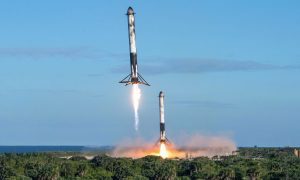 And that should allow us to get to the 10,000 vehicles a week rate or very close to it by the end of the year,” Musk said. While undoubtedly ambitious, Tesla’s timeframe for Gigafactory 3 is actually quite feasible, especially considering that the company enjoys the support of the Chinese government. 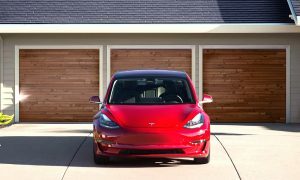 Part of this support became evident in the initiatives being placed to help Tesla acquire loans from local banks, as well as the involvement of China Construction Third Engineering Bureau Co., Ltd, a subsidiary of China Construction, which is owned by the government. Watch Gigafactory 3’s most recent drone flyover in the video below.